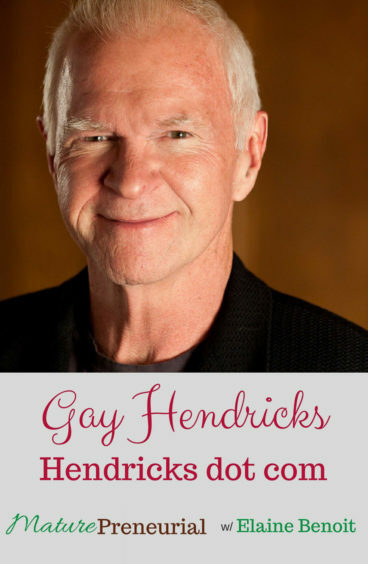 Gay Hendricks has inspired and facilitated relationship transformation and mind-body therapies for over 45 years. He is also a prolific author and novelist. Gay Hendricks, Ph.D., has been a leader in the fields of relationship transformation and body-mind therapies for more than 45 years. 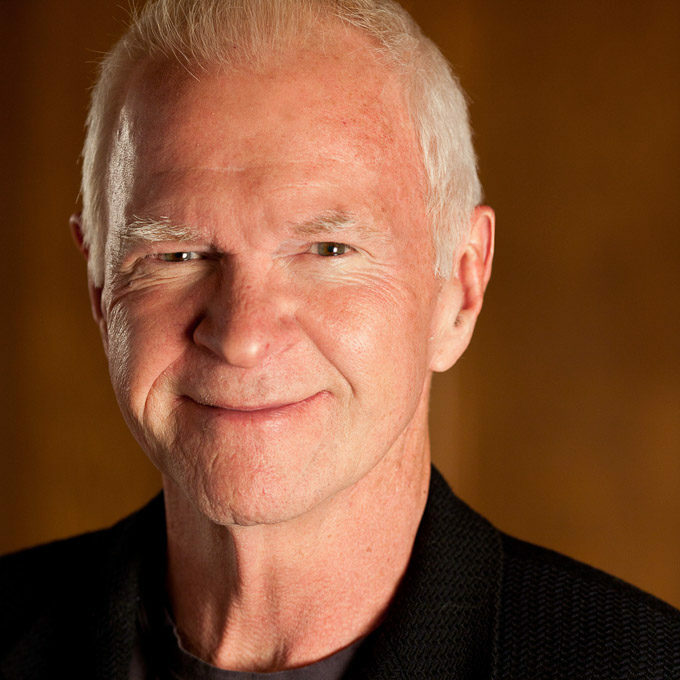 After earning his Ph.D. in counseling psychology from Stanford University, Gay began teaching at the University of Colorado. For 21 years he served at the university, where he became a full professor in the counseling psychology department. Gay founded The Hendricks Institute with his wife, Dr. Kathlyn Hendricks. As part of his work for the institute, Gay hosts seminars worldwide and he has appeared on more than 500 radio and television shows, including Oprah, CNN, CNBC, and 48 HOURS. In addition to his speaking career, Gay is a prolific author. He has written more than 40 books, including self-help bestsellers such as Five Wishes, The Big Leap and Conscious Loving (co-authored with wife). His books are used as primary texts in universities around the world. Gay’s book, The Big Leap, was a New York Times bestseller for five years. Published right after the beginning of the “Great Recession,” the book has helped hundreds of thousands of people go beyond a culture of fear and safety to live out their true passions. The results are remarkable on every level; from amazing careers to passionate marriages to vibrant good health. Gay is also a successful novelist. He wrote a mystery series of five books featuring the emotional and spiritual challenges of ex-Tibetan-Buddhist-monk-turned-private-detective, Tenzing Norbu. In June of 2017, Gay launched a new mystery series featuring Victorian-era London detective, Sir Errol Hyde, a fictional contemporary of Sherlock Holmes. The second book in the series becomes available on September 19, 2017. In 2003, Gay co-founded The Spiritual Cinema Circle, which distributes inspirational movies and conscious entertainment to subscribers in 70+ countries. Gay is a shining example of the benefits of what he teaches. 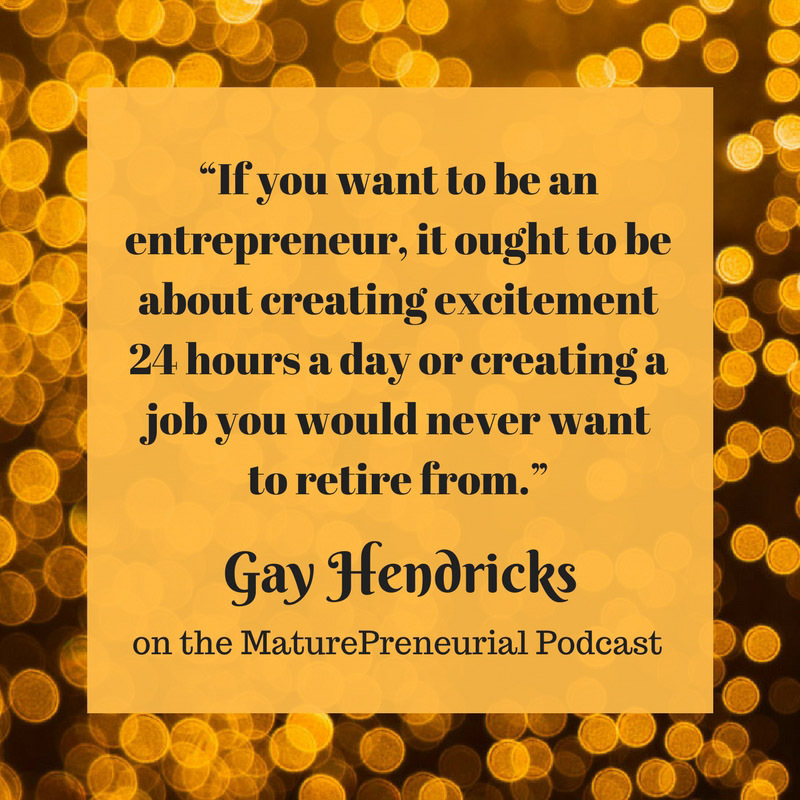 He’s prolifically creative, wildly successful as an entrepreneur, a renowned teacher, and a devoted husband. At age 70, he lives more life in a day than many an exuberant 20-year-old. He’s writing books, teaching courses, playing golf, launching companies and having a delicious time with his wife of more than 35 years, with whom he raised two children and accumulated a million frequent flyer miles! When you started your first entrepreneurial venture, selling fruit and vegetables, did your family grow the vegetables and fruit? You said you worked in New Hampshire, was it at a camp? Did you already have your bachelors when you were working there or was that before you got the degree? Going back to Oprah, that was quite a coo that you got on her show, how did that come about? You seem like you were ahead of your time with online courses, do you remember a lot of other courses being out there? What is your most successful idea you had for your business? What is the best advice that someone has given you? Do you have a date of when it is going live? Is there any advice you could give to someone just starting out in the entrepreneurial world? What is the most surprising thing that you have discovered once you started, is there something that surprised you?